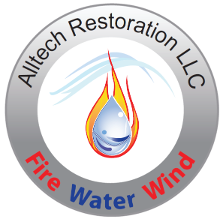 I may have mentioned our crew Alltech Restoration before but I'm mentioning them again, we absolutely love and adore these guys. If you are in need of a remediation team I will gladly give you their number and will know how much you will love them and I will know how much they will fill your hearts with confidence, care and love. It?s truly impossible to put into words having a team demolishing your home with such care. When they are walking out of your home and asking you the story behind different things or handing you family pictures that were floating in nasty water or discovering a hidden safe in the floor and running out to get us to show us. (It's so cool!!) God sent these gentlemen to us, I have no doubt they are angels on earth. Comments: Enjoyed working with this crew. They were all great people and efficient as well as very polite and professional. Showed up when they said they would. Highly recommend this company for your needs. If needed in the future would use again. Comments: We used Alltech for mitigation as well as construction services. We were very happy with our new bathroom and with the quality of the service that was provided. Ilie helped us choose materials to fit our budget and provided design ideas that we had not thought of. Everyone who came to work on the house was professional, polite, and efficient. The projects were well supervised to avoid delays or mistakes, and we were always in communication with Ilie. During construction, a leak was found and quickly fixed due to the professionalism of Ilie and everyone he sent out. Ilie answered all of our questions and concerns immediately and frequently checked in to make sure we were all on the same page. He went above and beyond what we had expected from a contractor. We will be having them back to do more improvements in the future.